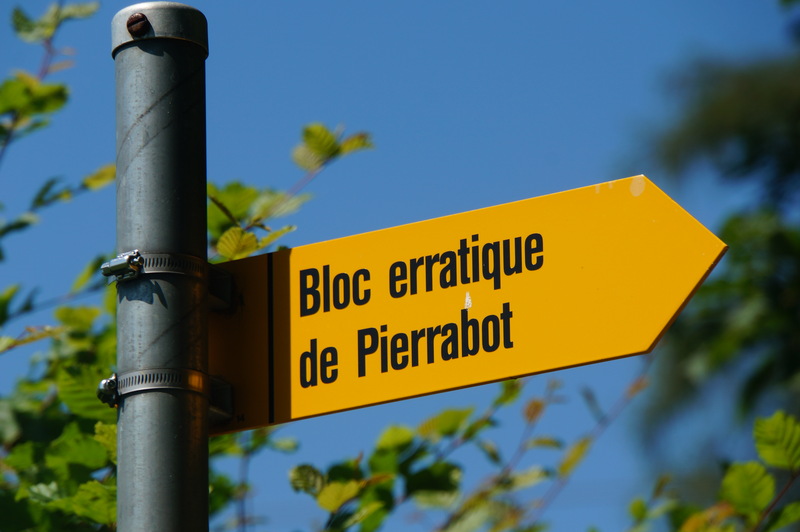 The Pierrabot, near Neuchâtel, and other giant glacial erratics in western Switzerland and elsewhere were initially a great puzzle to early geologists. The question was how these giant boulders of types of rock from distant places could have arrived where they rest today. Many thought that they had be transported from the mountains by Noah’s Flood. In Switzerland, Jean Pierre Perraudin, Ignatz Venetz, Jean de Chapentier, and eventually—and most famously—Louis Agassiz, argued that these boulders had been transported by glaciers during a time when glaciers covered most of Switzerland. Now we know that this time was during the most recent glacial maximum, in Switzerland about 24,000 years ago. Glacial erratics are actually not uncommon in northern Europe, the U.S., Canada, and previously glaciated terrain throughout the world. 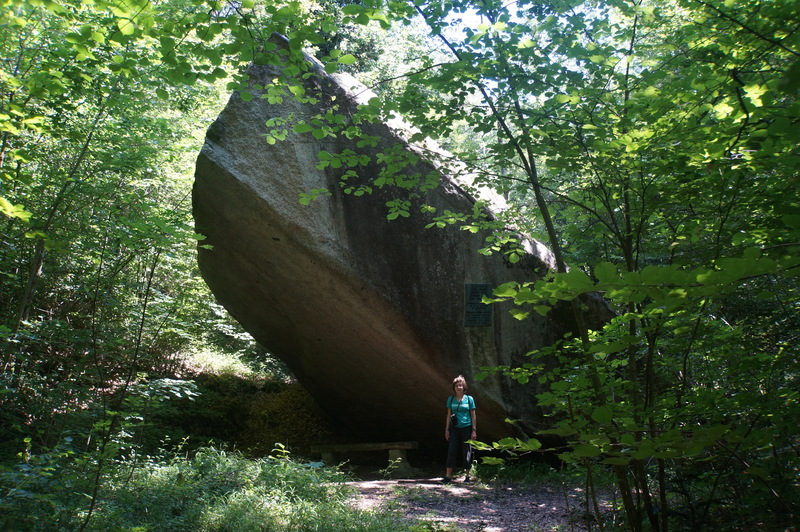 The Pierrabot, a glacial erratic near Neuchâtel, Switzerland. Louis Agassiz led a field trip to this site in 1837 following his presentation to a meeting of natural scientists. At the time almost no one believed his argument that this boulder had been transported to its current position by a glacier. 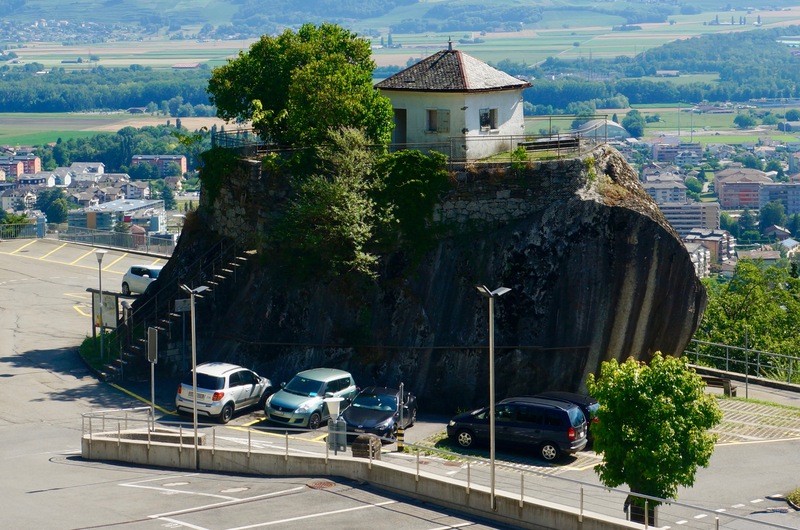 The Pierre des Marmettes, a glacial erratic in the parking lot of a hospital in Monthey, Switzerland. The erratic measures about 62 by 33 by 30 feet. The small house on top was constructed for the guards who surveyed the surrounding vineyards in the early 20th century. This and the other large surviving erratic boulders were only saved from quarrying for building stone by a public subscription campaign in the late 1800s. 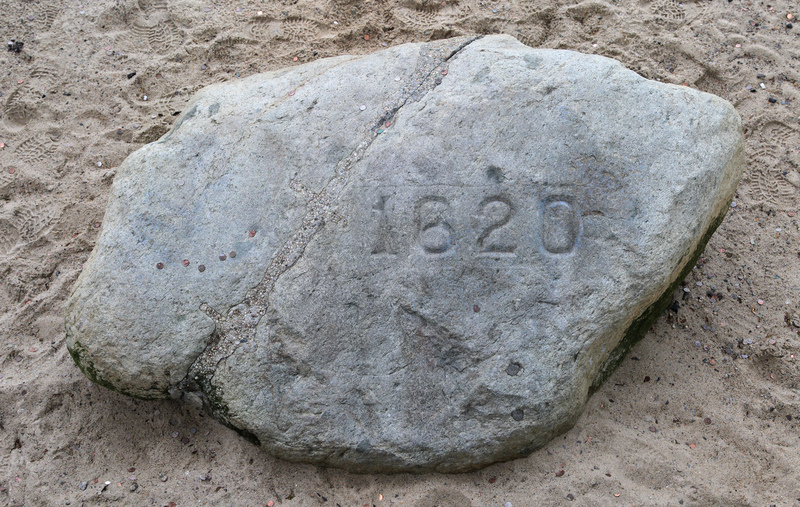 Plymouth Rock, perhaps the most famous glacial erratic boulder in the United States. 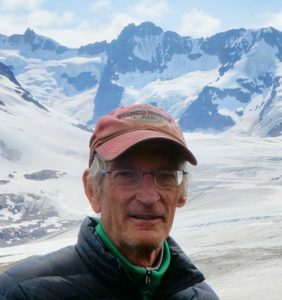 The abundant evidence in supoort of the recent advance of glaciers in Canada and tne northern United States, led Canadian and America geologists to a relatively early adoption of the Swiss ideas about the Ice Ages. (Photo by John O’Neill, via Wikipedia, GNU Free Documentation License). 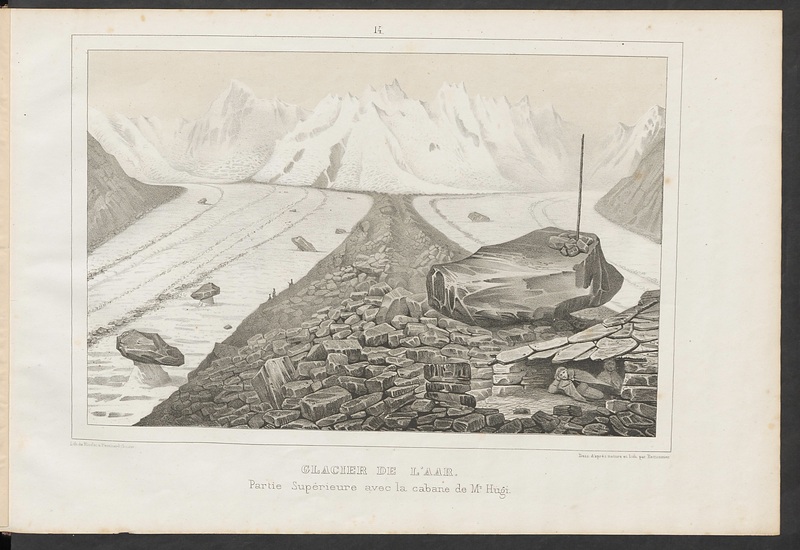 The travel of Franz Hugi’s boulder down the Unteraar Glacier documented by Hugi himself, Agassiz, and others, proved that glaciers could be responsible for the origin of what we now call glacial erratics. (From Agassiz, Etudes sur less Glaciers, 1840).